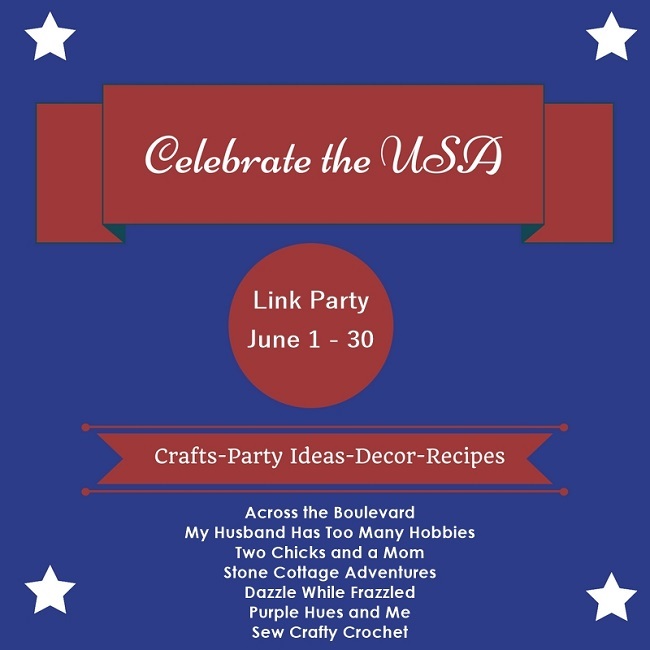 We're excited to join with a group of our blogging friends to bring you a month long Celebrate the USA Link Party 2017! We'll each be sharing a patriotic post to kick off the party. You're invited to share any patriotic posts (old or new) at the party. Crafts, Party Ideas, Decor, Recipes, and more. It's a celebration of all things Red, White, and Blue! We're happy to have you join the party! I really enjoy creating patriotic crafts, and throughout the years, I've created a few patriotic outfits for my daughter. So I recently created a summery crochet top for my daughter to wear during her adventures this summer! 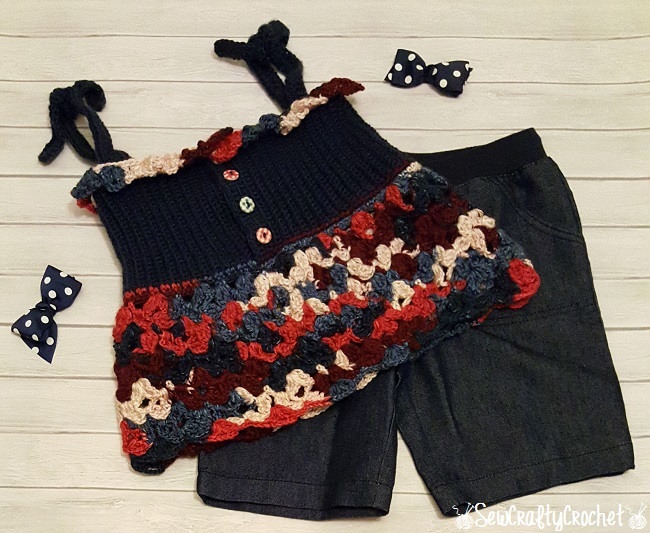 To find out more details about this top (like the yarns I used and where to find the pattern), read my post Red, White, and Blue Crochet Top! We're hoping to see your patriotic ideas! Share as many posts as you'd like as long as they fit the theme of the party. Posts that don't fit the patriotic theme will be removed. Stop by throughout the month for inspiration and to add more ideas! Each co-host will be choosing features from the party and we'll all post a features post on July 4. Adding your link gives the party co-host(s) permission to share your post on social media and/or to use your photo with a clear link back to your post in any feature or round-up posts. We will be sharing lots of your posts on our social media. We'd love to connect with you! Show off your Red, White, and Blue!